My favorite credit card for free travel regularly offers a huge sign-on bonus which can help you take many flights for practically free. I fly from North Carolina to Orlando three to four times each year to visit Walt Disney World, and I almost never pay for airfare. How do I pull this off? I fly for (almost) free using Southwest points! 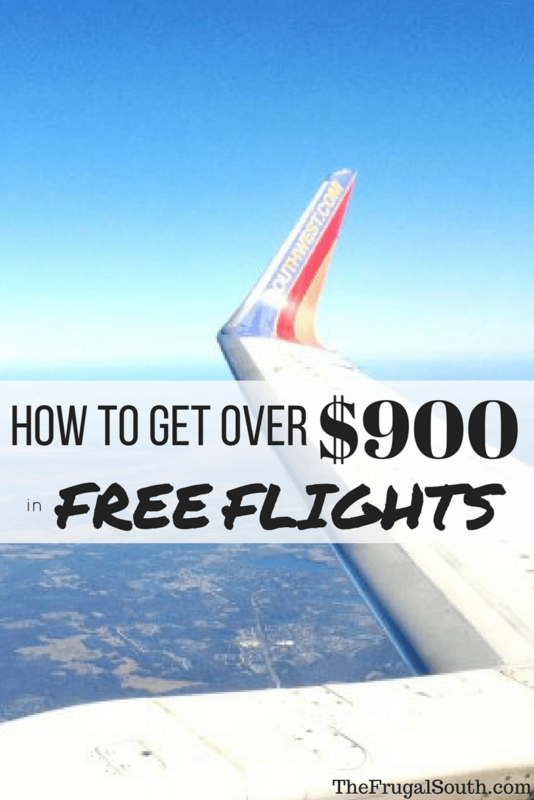 In this post, I’ll show you how to earn and redeem points and answer some questions I often get asked about flying for free on Southwest. The main way I’ve earned Southwest Rapid Reward Points is by opening a new credit card. There are three different Southwest cards offered by Chase, and when you open one and meet the minimum spending requirement, you’ll earn a huge number of Rapid Rewards points! The first card I opened was the Chase Premier Southwest Rapid Rewards Visa (this is my referral link), and it is still my favorite card. Keep in mind that I only recommend opening a new credit card if you have a history of using credit responsibly and paying your bills on time. Here are some questions I get asked frequently about flying for free on Southwest and my answers. Q: Can I use my Southwest Rapid Reward points to book flights for others, even if they aren’t family members? A: This one is easy: YES! You can use your points to book flights for anyone. You’ll just need their name exactly as it appears on their ID and their birth date. The ticket will be in their name and they will get their own confirmation number. You can even send an email confirmation straight to their inbox. Q: Is there an annual fee for the card? A: There is a $99 annual fee for this card that is not waived the first year. However, you will receive 6,000 points every year on your cardmember anniversary, which are worth more than $99 in airfare. Q: How far will 50,000 miles go? A: The reason I am able to visit Walt Disney World several times each year and still have points to spare is that I use them wisely! I use the monthly view to research the best dates to travel. 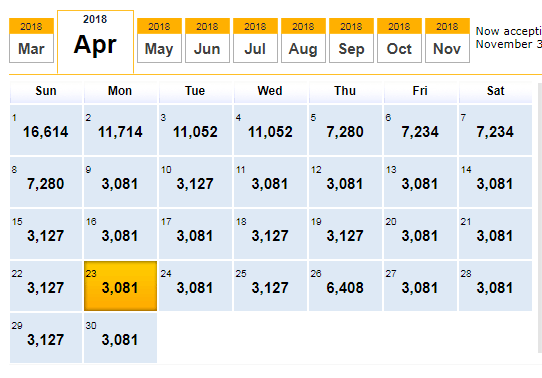 As you can see in the image above, you can get from Raleigh, NC to Orlando for as low as 3,081 points each way in April 2018. So your 50,000 miles would get you as many as EIGHT round-trip flights to Orlando! You will have to pay $5.60 of government fees per person for each leg of your trip. I’ll take an $11.20 round-trip ticket any day! Q: If I open a Southwest Rapid Rewards Premier Visa now, when will I get my 50,000 bonus points? A: To earn the sign-on bonus, you will need to meet the minimum spending requirement of $2,000 in the first three months after opening your account. When you receive your first statement (online or in the mail), you will be able to find when your statement closes each month. In the example above, my statement closed on November 7th, 2016. You can expect to see the 50,000 points deposited in your Rapid Rewards account about five days after the closing date of the statement during which you met the $2,000 minimum spend. And if it isn’t clear, the requirement is to spend $2,000 total on the card during the first three months after card opening, so that may be spread over several statements. Also, the annual fee and returns do not count toward the minimum spend, so be sure you get enough of your regular spending on this card so as to not miss out on the bonus! Q: Are there extra hidden fees on Southwest? A: This is another reason I LOVE Southwest. You get a carry-on and two checked bags for free with your ticket. You’ll also get a free non-alcoholic drink and snacks in-flight. AND you won’t be charged any fees to change your flight. Seems to good to be true but trust me, it isn’t! 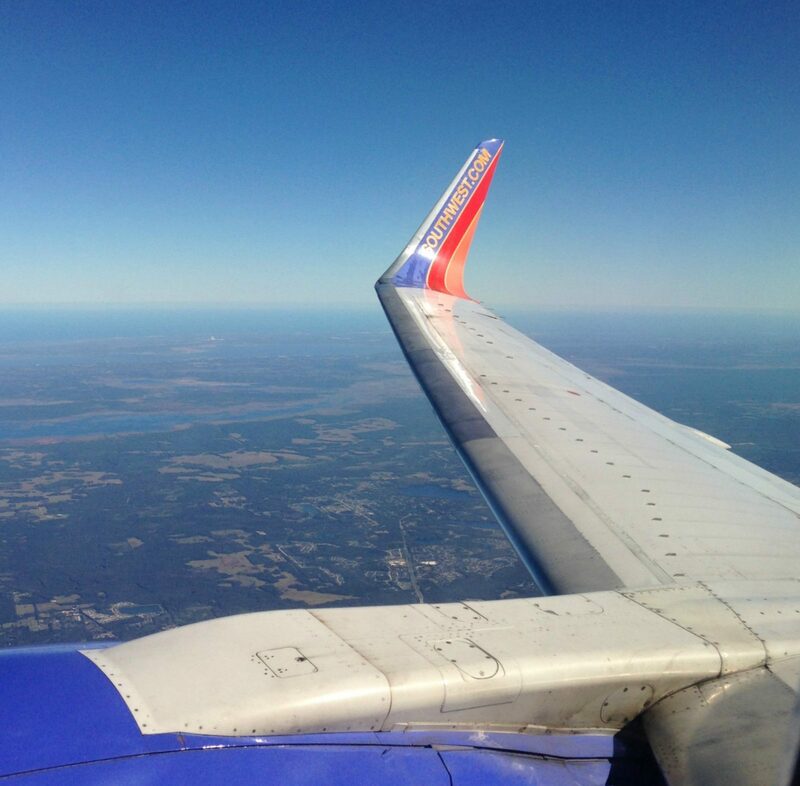 Q: What is Southwest Companion Pass and how do I earn it? A: This question deserves a post unto itself, but I will try to be brief! Anyone who earns 110,000 Southwest Rapid Reward points in a single calendar year automatically receives a Companion Pass from Southwest. This pass allows another person, designated by you, to fly with you for free for the remainder of that year and the following year. Here’ where it gets interesting. Your companion can fly for free whether you pay for your flight with points or dollars. The best strategy for earning a Companion Pass is to time it so that you earn the points from the sign-on bonuses early in the year. I hit the 110,000 point goal in February of this year, so I have had a Companion Pass for most of 2016 and will have it for ALL of 2017! One more thing – you are able to change your named companion up to three times during the time you hold the pass. For example, I started out with my daughter as my companion. Then I switched my companion to my friend Toni so she could fly to Florida with me for free in September. Then I called and had it switched back to my daughter, who will remain my companion for the rest of the time I hold the pass. Q: Can I change/cancel flight reservations I make with Southwest points without any penalty? And here is my favorite part about traveling with Southwest. Southwest charges no change or cancellation fees, whether you pay with dollars or points. If you need to change your flight, you can just re-book it and pay whatever the current rate is for your new flight. If you book a flight with points, and the cost later drops due to a fare sale, you can very easily re-book the exact same flight and get a refund of the points difference. To get a refund of points due to a price drop, first find your Southwest confirmation email. Near the top, you will see the above menu. Clink on “Change Flight”, then enter your name and confirmation number (also in that email). Book the same flights again, and you will get a refund of the point difference between what you first paid and the new (lower) amount. Booking with points on Southwest is pretty risk-free, so anytime I see a sale on a flight I am watching I go ahead and book it. The price almost always drops, but at least I have my seat secured and I can get points refunded later. Do you have any others questions about using the Chase Southwest Rapid Rewards Card for free travel? Please leave a comment below and I will do my best to answer your question! Budget Friendly South Florida With Kids: Miami, Everglades, & Key Largo! Thanks Leah! You answered all my questions! I recently opened a Southwest VISA account and am charging all my expenses on it to earn points to pay for the flights to send my daughter, her fiancee and her soon-to-be stepson to Disney World in May! Your frugal advice has made it possible for me to send them on their first magical vacation together to Disney World! Tips & Advice For An East Coast Florida Road Trip! 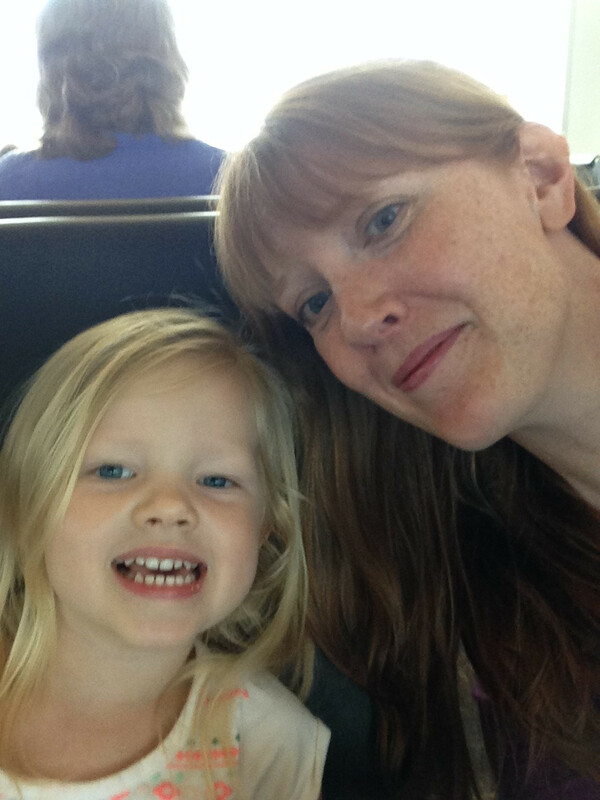 Family Travel To San Francisco On A Budget? Yes, It’s Possible – Here’s How!